Sound Transit's procurement path leads to achievement of the Pareto Award. 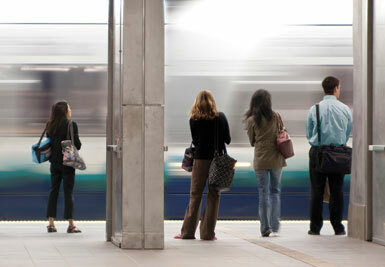 The Sound Transit Procurement and Contracts Division processed close to $1 billion in spending in 2012. The authority’s procurements are key to Sound Transit’s effective stewardship of taxpayer dollars. The national recession has reduced funding for the Sound Transit authority by 30 percent through 2023 for voter-approved expansions, so cost controls will continue to be a critical priority for delivering projects. Affirming procurement excellence, the Sound Transit Procurement and Contracts Division has received NIGP’s coveted Pareto Award of Excellence in Public Procurement, recognizing achievement of criteria so challenging that only eight public agencies have earned the accreditation since the award’s inception in 2003. Sound Transit is the popular name for Washington state’s Central Puget Sound Region Transit Authority, which was established in 1996 and began operating transit services in 1999. The authority, formed by the Snohomish, King and Pierce County Councils, provides regional transit services within Washington’s three largest counties, an area with more than 50 cities and more than 40 percent of Washington’s population. The authority operates express bus, commuter rail and light rail service in the region with nearly 100,000 weekday riders. The Procurement and Contracts Division is comprised of three sections — the Design and Construction Contracts Group with 13 team members led by Linneth Riley-Hall; the Contracts Systems Group with four team members led by Laura Sharp, which manages records, reporting, the p-card program, the solicitation system and the purchase order system; and the Materials, Technology and Services group, also known as Goods and Services, with 11 members led by April Alexander. The previous Director of Procurement and Contracts, Kunjan Dayal, helped lead pursuit of the Pareto Award, but had moved on to another job by the time the award was presented. Alexander said the momentum was there to finish the journey even with a vacancy at the Division’s top job. 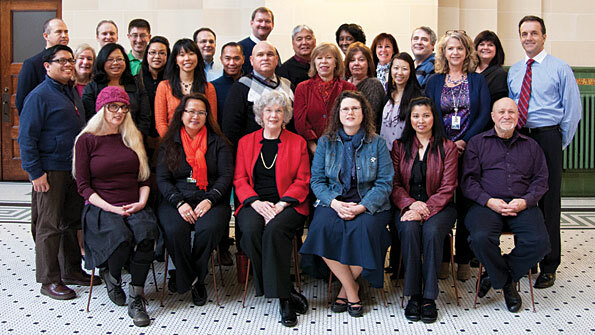 Dayal’s successor, Ted Lucas, came on board after the team received the Pareto Award at last August’s NIGP Forum in Seattle. “Sound Transit’s operation stands tall in serving as a prime example of professionalism and proficiency in transit authority procurement,” said NIGP CEO Rick Grimm. The Pareto Award of Excellence in Public Procurement, comparable to the Malcolm Baldrige National Quality Award, is named for the political sociologist and economist Vilfredo Pareto (1848-1923), the father of scientific procurement, whose Pareto Rule says roughly 80 percent of the effects come from 20 percent of causes.